The Rod Glove's Pro Staff Toby Lillard offers a bit about himself and some tips for storing your Rod Gloves, while not being used on the rods. Toby Lillard has had a passion for fishing since he was young and when he first graduated basic training, he decided to pack his Zebco travel rod and reel in order to fish while serving overseas. He was able to shore fish in such countries as Germany and Hungary and found it gave him a chance to unwind. After being injured in Iraq, and serving 20 years as a Platoon Sergeant, Toby retired from the Army and returned to become a full time fishing guide on Lake Kentucky and Lake Barkley, Tennessee. He says "he now gets paid to do what he loves to do". He also competes in the BASS Southern Opens, the ABA Ram Series and Weekend for Warriors tournaments and tries to take out a wounded warrior once a month. 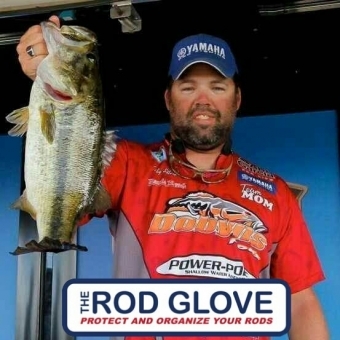 Here Toby offers some unique tips on storing The Rod Gloves while not being used on the water.